I've been involved in volunteer work for a couple of groups. One of this is Cartwheel Foundation whose mission is provide education to indigenous children and communities with no access to basic services. Coleen Ramirez emailed me a while ago regarding Cartwheel Foundation's Raft for a Cause. So, in case you're thinking of a good activity, this is it! 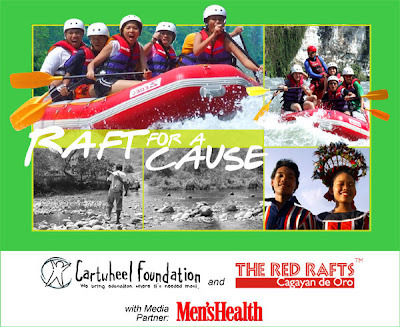 Cartwheel Foundation invites you to experience the renowned Cagayan De Oro River white water rapids and raft for indigenous people's education, together with The Red Rafts and Men's Health Magazine. Starting this June until October 2007, raft with The Red Rafts, Cagayan de Oro's premier outfitter, and part of the proceeds of your trip will benefit the educational programs of Cartwheel. There are an estimated 12 million indigenous peoples (IPs) in the Philippines and they have little or no access to quality education. Cartwheel is committed to bridging the gap and ensuring that they enjoy their right to education that is best suited to their culture. You too can lend your support and have a blast while you're at it - you might just dicover the ride of your life! 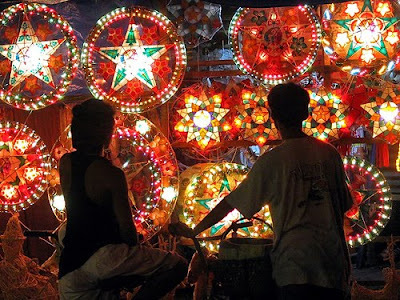 Go with your friends or even take the whole office for an outing (special teambuilding activities are included). Firstly, Congrats on your recent photo contest win! They are looking for schools in dire need of books. They ship them from California. Thank you so much for the kind gesture. Will send her an email.